My first significant learning experience came when a patient asked me to read the book “Seven Weeks to Sobriety” by Joan Larson, PhD, so I could help her with her own alcohol problem. Dr. Larson is a mother whose son committed suicide – as is only too common – when he was supposedly succeeding in his recovery from alcoholism. Because of this experience, Dr. Larson knew that commonly available treatment programs for alcoholism were not the answer. These programs are based on regular meetings and talk therapy. Patients following them often replace one addiction with another and, if they achieve any success at all, it is through heavy use of antidepressant medications. Instead, Dr. Larson believed that a drug-free program that used diet and nutritional supplements to balance brain chemistry would yield much better results. At her clinic Dr. Larson, aided by a team of like-minded physicians, has been successfully treating alcoholism and other addictions with nutritional therapy since 1980, and reporting a success rate as high as 80%. Over time people sought Dr. Larson’s help not only for addictions but also for depression, anxiety, compulsive thoughts and so on, and she found that the same principles she had been applying to the treatment of alcoholism worked equally well in these other areas. She then wrote the book “Depression-Free Naturally,” which I read carefully while taking extensive notes I then used as practice guidelines for years, and which I still consult on occasion. Her approach is based on a diet aimed at avoiding food allergens and balancing blood sugar, and on an individually targeted and intensive supplement programs aimed at replenishing nutrients and balancing brain chemistry and hormones. The program tends to be complex and not always easy to follow, but in my experience it works very well when properly implemented. Later on I ran across the interesting work of psychotherapist-turned-nutritionist Julia Ross and read her books “The Mood Cure” and “The Diet Cure.” In her psychotherapy practice, Julia had found that people could often see her for years while continuing to suffer from the same problems. So, long before treating mood issues with nutrients was in vogue, Julia started to experiment with amino acids such as l-tryptophan, l-tyrosine, GABA, and others. She found that once she identified the correct mix of nutrients an individual needed, moods improved rapidly and problems that might have been ongoing for years could be resolved in a matter of days or weeks. Julia’s approach is not all that different from Dr. Larson’s, though it is more flexible. She also developed a comprehensive checklist to analyze symptoms and determine an individual’s amino acid needs. I have found this checklist to work better than any of the new fancy and overpriced lab tests that are often promoted these days. Although some psychotherapists feel threatened at the thought of their clients recovering in days or weeks, Julia proved their worries to be misplaced by building a hugely successful practice you can read about here: http://www.moodcure.com/. Compared to Julia Ross and Dr. Larson, Marty Hinz, MD, is a relative newcomer to the field of nutrition for the mind, though he may have made the most significant contribution to our understanding of what it can achieve. He is a conventionally trained physician who at one time ran a weight-loss clinic where he wrote thousands of prescriptions for the drug combination commonly known as Fen-Phen. This combination, as you may remember, looked promising at first but was later found to be deadly and was eventually removed from the market. In time he started to experiment with nutritional therapy and found that by combining certain amino acids with a few other associated nutrients at high doses he could achieve even better results in weight loss than with Fen-Phen, of course with the added bonus of no side effects or adverse long-term consequences. Similar to how Dr. Larson had discovered that her alcoholism programs worked for depression, Dr. Hinz found that his weight-loss nutrient combinations aimed at balancing neurotransmitters could be used to successfully treat many other conditions as well. These included depression, anxiety, and some other obvious ones, but also conditions like fibromyalgia, migraine headaches, and Parkinson’s. I am including a partial list of conditions that respond to amino acid therapy at the end of this article. Many of us used to be more or less secretly impressed with medical scientists’ ability to develop a class of drugs called “reuptake inhibitors” that increased the availability of serotonin and other neurotransmitters where they were needed. Dr. Hinz dispelled this myth by showing evidence that, aside from medicines, many street drugs – including cocaine – also work by inhibiting reuptake of neurotransmitters. Often researchers only duplicated the actions of street drugs to make patented prescription medicines. Dr. Hinz then unearthed research showing that antidepressant drugs – like street drugs – deplete neurotransmitter stores, leading over time to a need for ever-higher doses or stronger drugs, and eventually a loss of effectiveness of the drugs. Though these studies were obviously easily accessible in the medical literature, no one I know had ever heard of them, and few if any patients being prescribed these medications were ever told about them. Dr. Hinz also recommended amino acids at higher doses than had been common practice. He proved that these higher doses are not only safe but effective – and not just for mild or moderate depression as was thought previously, but equally for severe long-term depression even when it is no longer responsive to medications. Not only that, but Dr. Hinz was also the first doctor I know of in the US to combine amino acids with prescription antidepressants. You will find warnings all over the Internet and on supplement bottles against doing this but it is misguided information; once again, Dr. Hinz found valid studies, mostly from Europe, showing that the combination is safe and also that the addition of amino acids increases the effectiveness of antidepressants. This is a great tool to have at our disposal, especially for people wanting to wean off antidepressant medications. Nevertheless, I do not recommend that you try it without expert supervision. Finally, Dr. Hinz can be credited with pioneering urine tests to measure neurotransmitter levels. He also proved that people with depression do not have lower than normal neurotransmitter levels, so these tests are of no help in making a diagnosis or initiating treatment. Testing does have value in monitoring progress, but only for a minority of difficult cases with atypical responses to amino acid supplements. 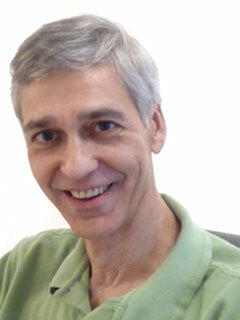 You can read about Dr. Hinz and his work at http://neuroassist.com/. While his work is groundbreaking in many ways, it has its shortcomings. Maybe because of his mainstream medical background, Dr. Hinz never saw the connection between the mind and diet or overall health that is so obvious to more holistic practitioners, including both Dr. Larson and Julia Ross. His system also tends to be rigid, and is based too much on a “one size fits all” approach. When people do not respond well, this system can be difficult to adapt to individual needs, leading to people losing faith and discontinuing the program. In my experience working with a more flexible approach such as the one developed by Julia Ross yields better results and is more enjoyable for everyone involved. Today I combine the best of what I have learned from the practitioners I described here and a few others, plus my own years of experience. 1 – Determine an individual’s amino acid needs based on detailed history and exam. I have not found neurotransmitter tests to be of added benefit in this area, though sometimes they can be helpful at a follow-up evaluation. Once the correct formula and dosage are identified, it can rapidly relieve symptoms, though it may not solve the root cause of the problem. 2 – Identify food sensitivities through a laboratory test or by other means, such as an elimination diet. Recommend an overall healthy eating program, taking into consideration possible blood sugar imbalances or the presence of intestinal yeast. Diet change can lead to long-term resolution of symptoms and limit the need for amino acid supplements, eventually enabling people to stop taking them altogether. 3 – Identify possible hormonal issues through history or lab tests as needed. Depletion of hormones, especially stress hormones, can be a clear cause of depression, anxiety and other similar conditions. This often becomes obvious in the course of the initial appointment. In these cases it is still possible to relieve symptoms through amino acid supplements, but the problem can never be fully solved until hormonal imbalances are identified and corrected. 4 – Consider the possibility of yeast overgrowth, a toxic gut, or other digestive issues that could be contributing to symptoms. When necessary, this can be assessed through a digestive stool test. 5 – Evaluate toxin buildup in the body – including a possible buildup of lead, mercury or other environmental poisons – and employ a targeted detoxification program when called for. More often than not, detoxification is essential to long-term relief of symptoms. In addition to depression, conditions that respond partially or fully to neurotransmitter therapy using amino acids include, but are not limited to: Parkinson’s disease, obesity, bulimia, anorexia, anxiety, panic attacks, migraine headaches, PMS, OCD, insomnia, aggressive behaviors, fibromyalgia, ADD, ADHD, Alzheimer’s disease, traumatic brain injury, chronic pain, phobias, irritable bowel syndrome, and alcoholism.